Some vacations combine a cruise of spectacular coastal Alaska with a land tour that features transportation by motor coach or train and hotel stays. Before or after your cruise, you might explore Denali National Park in Alaska or the resort towns of the Canadian Rockies, for example. The season for Alaska cruise and tour packages generally lasts from May through September. 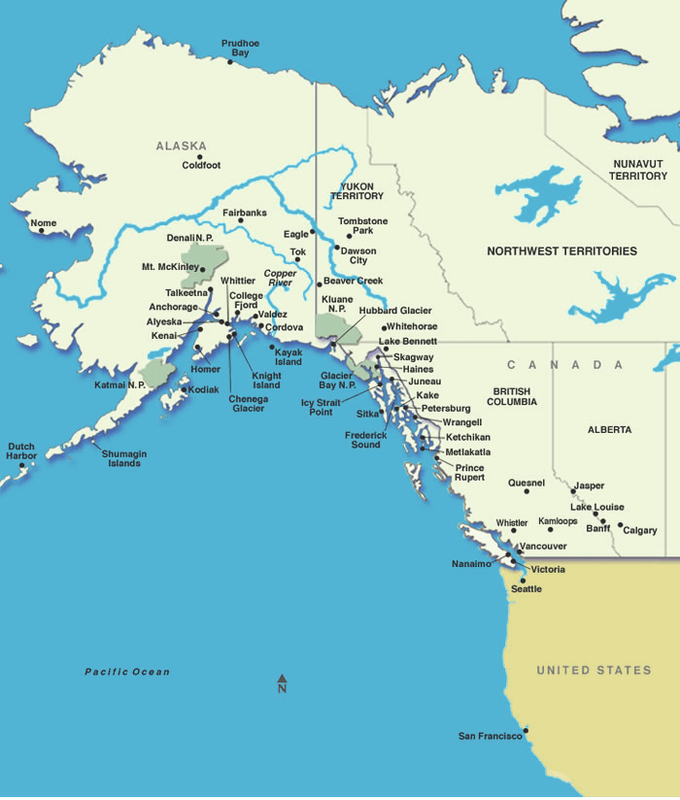 Alaska cruise and tour packages are typically 9 to 19 nights in length. You can find the most affordable rates in the off-peak periods of May and September. Passengers who end their trips in Anchorage or Fairbanks typically are scheduled to return home on late evening "red-eye" flights. If you need to fly a long distance to reach your port of departure, we suggest that you arrive at the port city at least one or two days in advance. This will give you time to rest and get oriented before boarding the ship. Most cruise lines offer pre-cruise hotel packages.